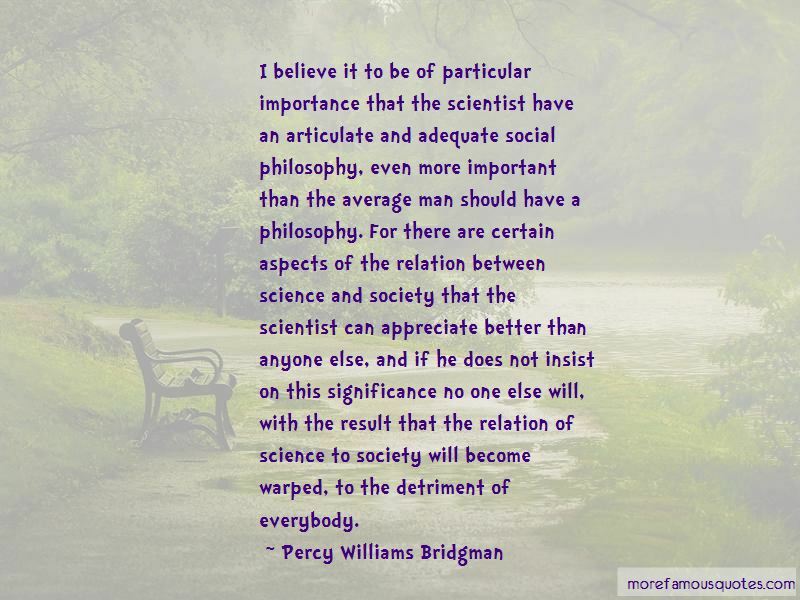 Enjoy the top 22 famous quotes, sayings and quotations by Percy Williams Bridgman. 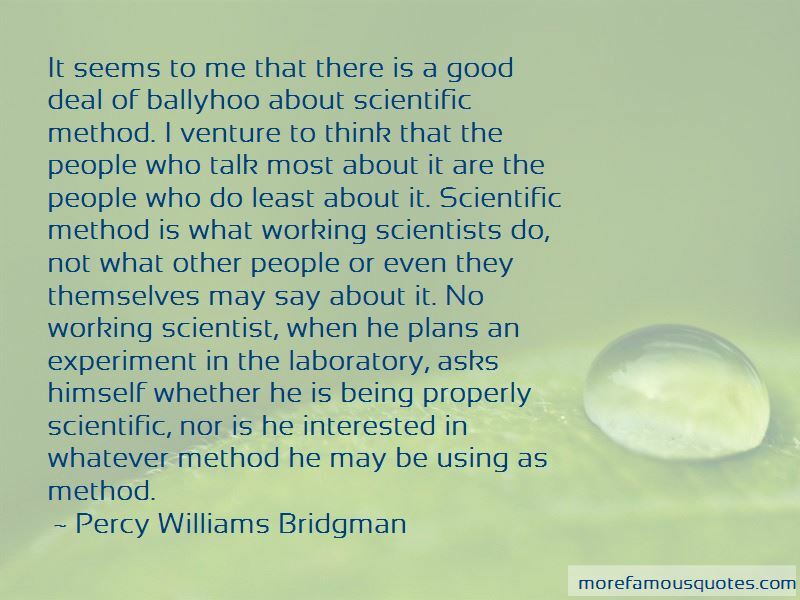 The scientist would maintain that knowledge in of itself is wholly good, and that there should be and are methods of dealing with misuses of knowledge by the ruffian or the bully other than by suppressing the knowledge. Coincidence is what you have left over when you apply a bad theory. 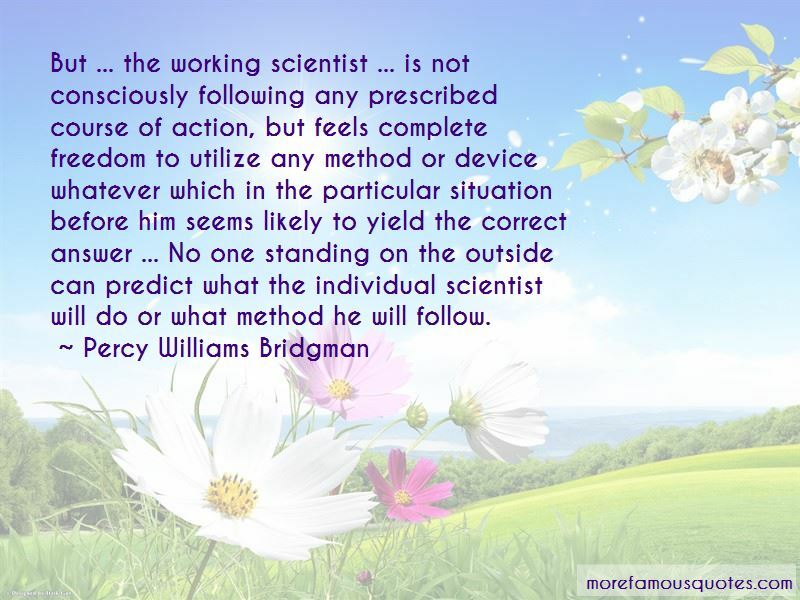 Want to see more pictures of Percy Williams Bridgman quotes? 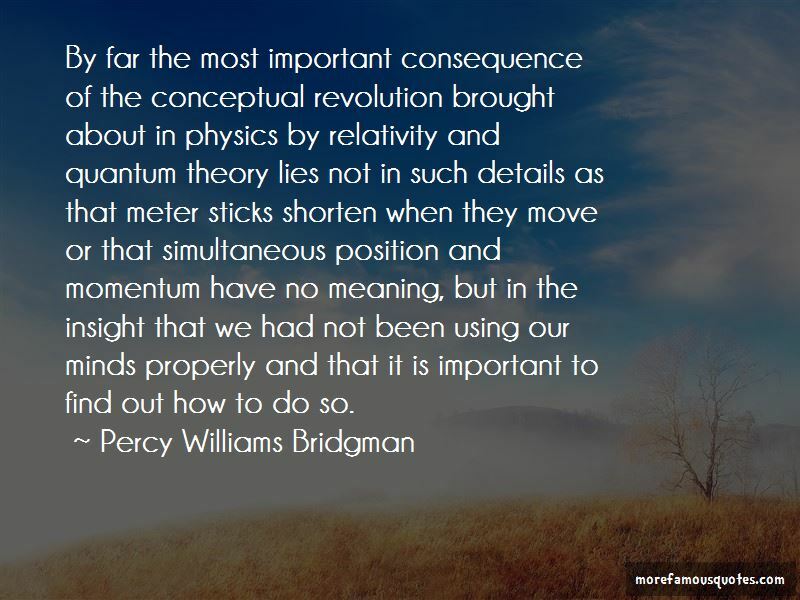 Click on image of Percy Williams Bridgman quotes to view full size.